Today we’re turning the spotlight on five decorative lamps from our Fall 2018 catalog. 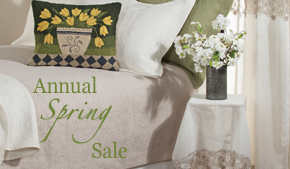 These lighting options not only enhance the style of your rooms, they are also all part of our Lighting Sale (details here). 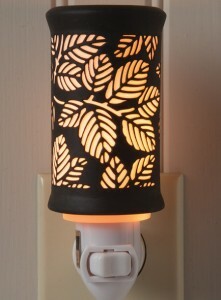 This beautiful night light is made from black porcelain cast on white porcelain. The black layer is then etched to create the lovely fern design. It’s truly a statement-making home accent during both the nighttime and daytime hours. 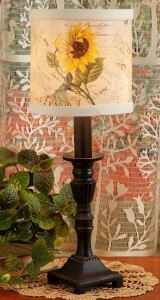 This sunny lamp has a classic black base and is topped with a fun sunflower and scrolled text shade. A piece of fabric circles both the bottom and top of the cardboard shade, which frames the timeless vintage imagery and adds textural charm. 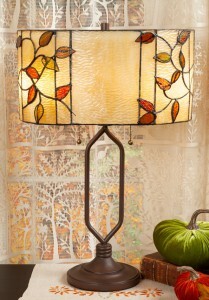 We were quite excited to add this lamp to our Fall catalog, and we hope you love it as much as we do. 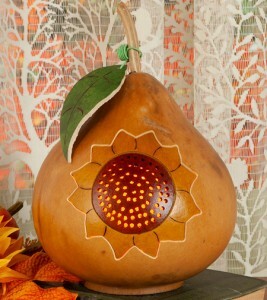 This home accent is handcrafted out of a hand-grown gourd, which you can learn more about by clicking here, and is perfect for adding a little bit of light to any room. rustic, lodge look in your home all year. 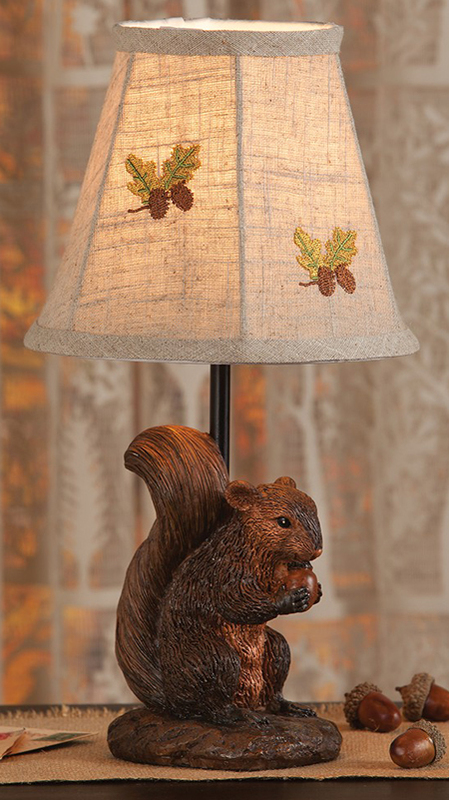 This lamp speaks for itself, but we’ll offer up some details. The brown stem supports two bulbs so you can control the amount of light in a room. But of course, the stained glass is the real showstopper, so be sure to get a closer look here. This entry was posted on Wednesday, July 25th, 2018 at 3:58 pm	and is filed under Decorating, Lamps and Lighting, Thematic, Weekly Spotlight. You can follow any responses to this entry through the RSS 2.0 feed. You can leave a response, or trackback from your own site.